Smartphones are so integrated with cars these days, they might as well be standard equipment. With our trusty mobiles on board, we can play our favorite tracks through the stereo, respond to emails with our voices, get directions, and even avoid speed traps with community-based traffic apps like Waze. 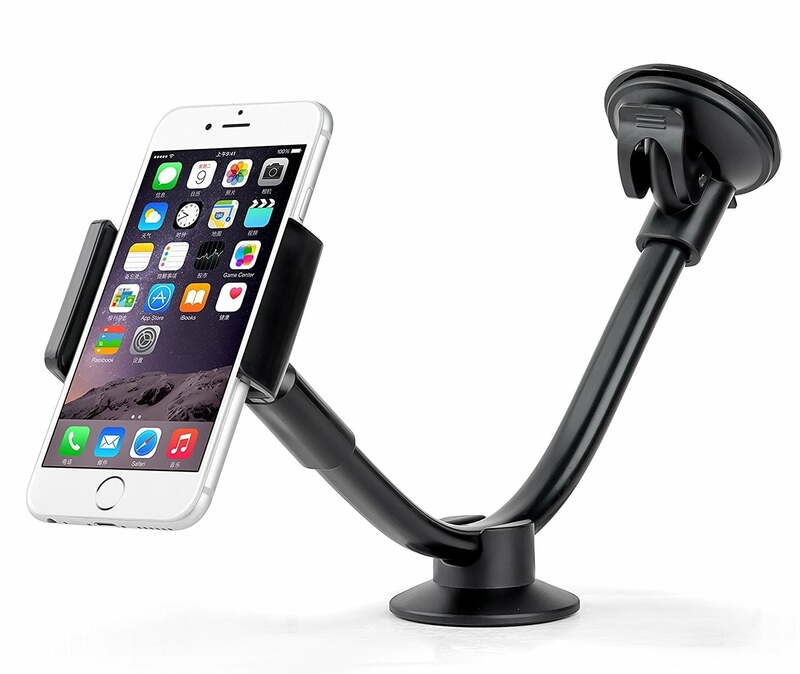 Fumbling with your phone while driving is incredibly dangerous though, so to keep your hands on the wheel and your eyes on the road, we’ve compiled the seven best car mounts for the iPhone 7 and iPhone 7 Plus. Fire up that Bluetooth and let’s get started. The iOttie Easy One Touch 4 is one of the highest-rated car mounts on the market for good reason. With a sticky gel pad that can adhere to most surfaces, it can be mounted just about anywhere, and as its name suggests, it can be locked and released with the push of a finger. It also features a trick telescopic arm that can extend up to 5 inches, as well as an adjustable base that can be moved up, down, left, and right, in order to make it as simple as possible for people to interact with their mobiles. You can have the phone close to you if you need it, or keep it out of sight when you’re using Apple CarPlay. If you don’t happen to have an iPhone, fear not — iOttie’s one-size-fits-all design can accommodate a variety of smartphones and their protective cases with no issues. Simple yet effective, the MagGrip by TechMatte boasts the features of more expensive units at a much more accessible price. Its suction cup gel pad allows it to be mounted on the windshield or dashboard with no residue, and convenient magnet bonds hold your cellular companion steadily in place. Like the iOttie, TechMatte’s products are universal, meaning this mount will likely work with whatever smartphone you happen to own. It’s also available as an air vent mount if you’re into that sort of thing, and if you aren’t happy with it, TechMatte offers a 30-day money back guarantee. If you’d prefer to keep your dash and windshield clean and clear of clutter, an air vent car mount is probably what you’re after. With that in mind, we’d like to introduce you to the Kenu Airframe+, arguably the best vent car mount available. The Airframe+ uses a rotating rear clip than can be used on nearly any type of vent, whether it be horizontal, vertical, or angled. You can even insert a credit card into the back and the Airframe+ becomes a hands-free smartphone stand. Speaking of phones, the mobile itself is held in place with a spring-loaded compression mount, which is both stable and adjustable for bricks of almost any size. Best of all is the unit’s portability, because at just 2.7 inches long, the lightweight Airframe+ fits easily inside a pocket. 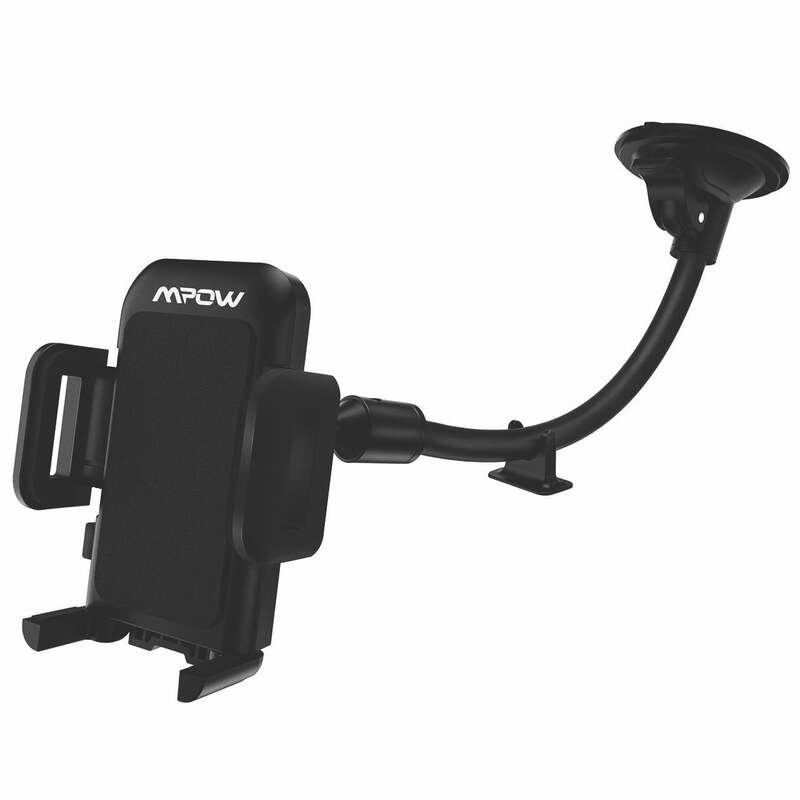 Minimalism is the name of the game with Mpow’s air vent car mount. The device measures just a few inches in diameter and features a low-key design, making it a great choice for those who want to save space and money. Yes, at $9.50 it is slightly costlier than the popular WizGear, but you get two for the price as well as a longer warranty with this option. The Mpow uses a magnet to hold your iPhone in place, and buyers have two options for setup — affix an adhesive metal plate to the back of the phone or place it inside the protective case. Either way, the mount won’t damage your mobile or leave sticky reside on your dashboard, and the phone can spin freely once the magnet takes hold. As a bonus, it doubles as a kickstand for YouTube or Netflix sessions. We’ve covered dash mounts, windshield mounts, and air vent mounts so far, but there’s another option we haven’t touched on yet. The Ipow Dash Pad is essentially a silicone rubber mat that uses friction to stay in place, and since there’s really no installation involved, this is a great choice for someone who switches between vehicles often. Ipow’s Dash Pad is surprisingly adjustable. Two rubber mounts on the base can be slid and moved to accept mobiles of all shapes, and they work in horizontal and vertical orientations for both 9 and 14-millimeter thick phones. It’s probably the simplest car mount on our list, but in many cases, simple is all you need. This windshield mount seems to be a popular choice. Available on Amazon for less than $20, this universal mount is capable of handling pretty much every smartphone out there, including your beloved iPhone 7. It even has the ability to hold certain small tablets, thanks to its widemouthed cradle. It uses a soft, sticky suction cup that mounts on your windshield. It’s then bolstered by a long, flexible arm that comes with its own support for resting on the dashboard. Then, the rest is history! With cars featuring extremely raked windshield angles and expansive dashboards these days, the AboveTEK car mount certainly has its merits. As Amazon’s #1 best seller, the Mpow long arm mount is similar to the AboveTEK, but not nearly as heavy-duty and rated for things like tablets. And so thus, it can be had for less than $10, which makes it far more enticing. It can mount to wherever there’s a flat surface and the long, flexible arm, means there are multiple ways to mount the holder to your liking. Need to flip it? No worries, 360-degree rotation is also available thanks to its swivel-ball mount.